I don't know what kind of magical powers Dave Fleming possesses but somehow both last year and this year he has arranged for the day in January of his beer festival to be one of the warmest, most beautiful days of the whole month. Kudos to him for taking a risk on an outdoor festival (albeit tented) in the middle of winter and for creating a festival that couldn't be more Pacific Northwest themed. 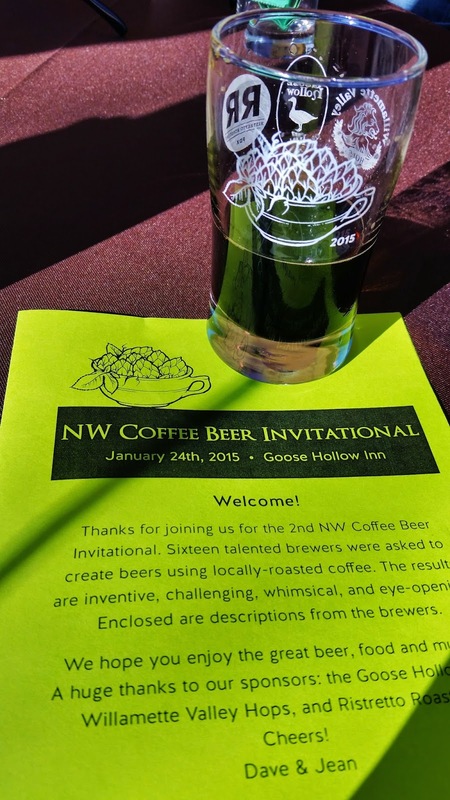 Coffee beers aren't for everyone but apparently there are more than enough of us that are interested in seeing how some of our favorite breweries incorporate locally roasted coffee into their beers. This year there were 16 beers available, up from 12 last year, and being brutally honest I only enjoyed about half of them. But the actual enjoyment of the beer in my glass is only part of the equation. I'm a good beer geek, always on the search for the new thing, the beer I've never had before and I know that they're not all going to be winners. Some just weren't for me, some I think could have been better crafted, yet I give everyone an A for effort for creating something I haven't had before. Barley Brown's Barley's Imperial Breakfast Stout - An oatmeal stout using beans from Sorbenots Coffee in Baker City, this definitely tastes like chocolatey breakfast in a glass. I'd had the regular version of the beer before and it was good but this bigger, 8.5% ABV version, really does go to the next level. Chetco Brewing Company Black Thunder - I'm a big fan of CDAs and for me this was the love child of a CDA and a stout. Brewed with Signature Coffee from Humbolt it was a more roasty version of a stout. Fire on the Mountain Spanish Coffee Mudd - FotM is one of our favorite eateries in town so I'm familiar with most of their beers and have had their Electric Mud chocolate oatmeal stout on many occasions. 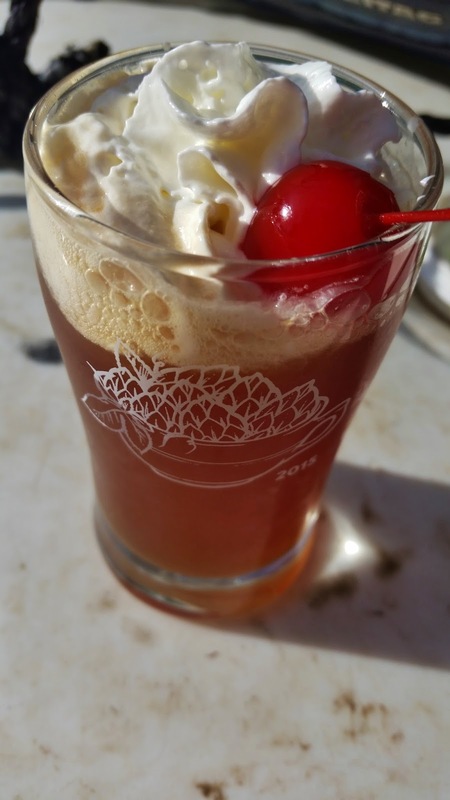 I've also been known to enjoy a Spanish coffee from time to time and they nailed the flavor profile, with beans from Spella Café, while containing the booziness to beer range. Elysian Brewing Cthulhu Imperial Oak Aged Coffee Stout - I won't go back on my word, this beer was brewed before the recent hubbub, but as soon as I saw it in the lineup I said to myself, "This will be the last Elysian beer I drink." And it was a hell of a good-bye beer with great coffee aroma and flavor, in part from the Stumptown Cold Brew used, and that's what I want to remember about Elysian. Besides the beer I had a great time seeing friends from some of the participating breweries and plenty of fellow beer geeks. Gathered around the sunniest of the tables (we were first in line so we quickly snagged it) it was a great afternoon chatting about the beers and what everyone had been up to since we'd last seen one another. 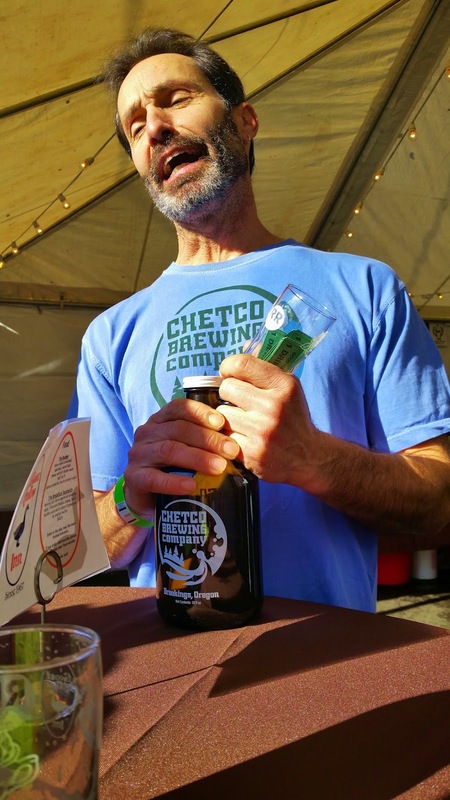 The unexpected highlight was having brewer/owner Mike Frederick of Chetco Brewing Company out of Brookings, OR join us. His beer is distributed by Alebriated, which is owned by a friend of mine, and he was able to stop at the festival as part of a larger trip around the area. For brewing out of a 468 square foot facility he's doing good work. The fact that his beer made my tops list had nothing to do with meeting him yesterday, that was just the icing on the cake. Winter is supposed to be low season for beer festivals, right? Apparently the folks in Portland have turned a blind eye to that news and forged forward with (at least) four beer fests taking place today. Who knows, there may in fact me more that I just tuned out after realizing that I was going to have a tough decision to make seeing as how I've not yet obtained the ability to clone myself. In its sixth year now, Bailey's will be pulling "a bunch of old beer from our cellar." The beers range from barley wines to sours to stouts but they have one thing in common - they're all big boys with nothing clocking in at any less than 8%. Presented by #PDXNOW, Travel Portland's current marketing campaign, the fest will offer 10 different collaboration beers from local breweries. 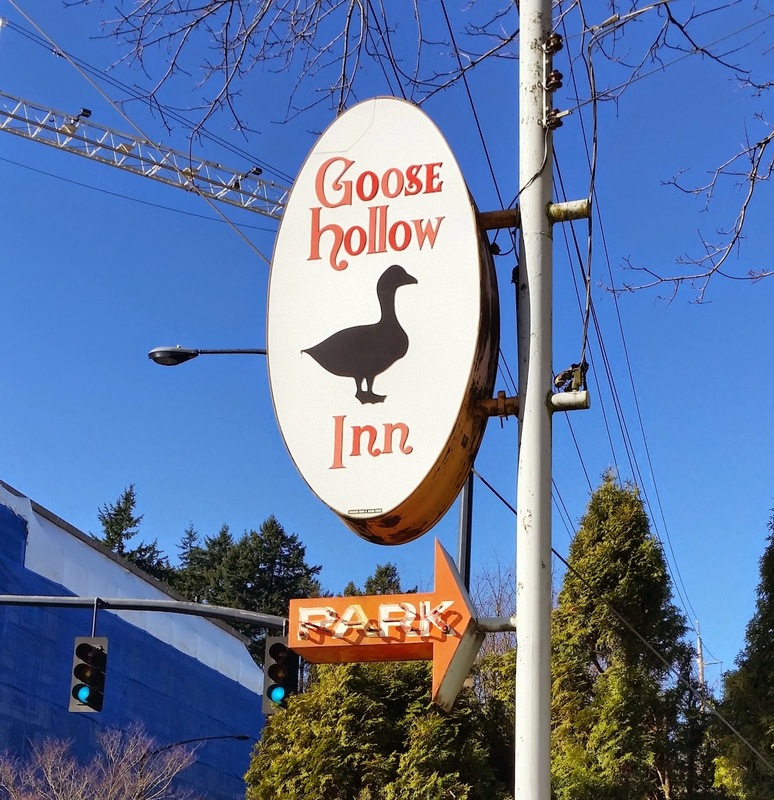 With gose, hefeweizen, sour and radler beers, the offerings are the polar opposite of Bailey's line up. Coffee and beer are my two favorite drinks so when Dave Fleming introduced this festival last year I quickly hopped on board. Clearly a successful endeavor, the number of beers has been upped from 12 to 16, all made with locally roasted coffee. This festival, now in its fourth year, offers a combination of six beers made by Portland U-Brew and four made by other breweries. Most will be big, over 9%, and all winter beers. So can you guess where I'll be? Those of you who know me well probably answered correctly - I'll be at the coffee beer festival. If, and this is a big if, knowing that I'm usually not good for much after a festival, I have any energy left I may wander over to Base Camp, seeing as how we live within stumbling distance from there. Whatever your plans are, cheers to craft beer, friends! 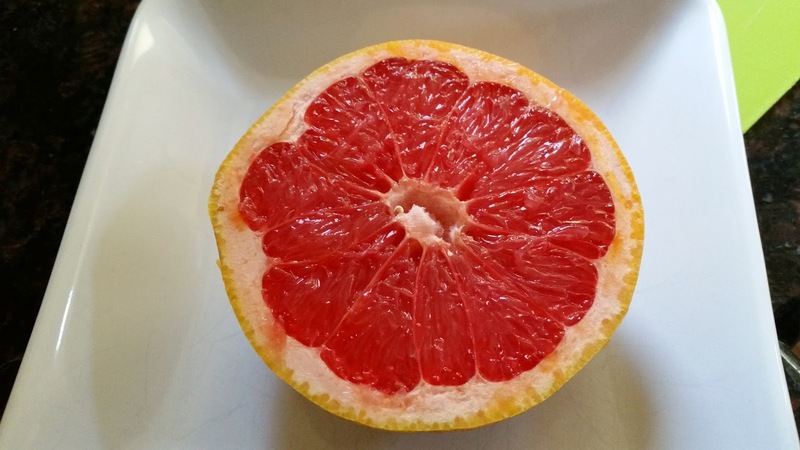 We're coming into the height of citrus season and while I love a juicy, red grapefruit to start off and brighten dreary winter days, come later in the day I want my grapefruit to come from a bottle. No, I don't want a glass of grapefruit juice, what I want is a citrus-forward IPA bursting with bright flavor up front, finishing with a pithy bitterness. 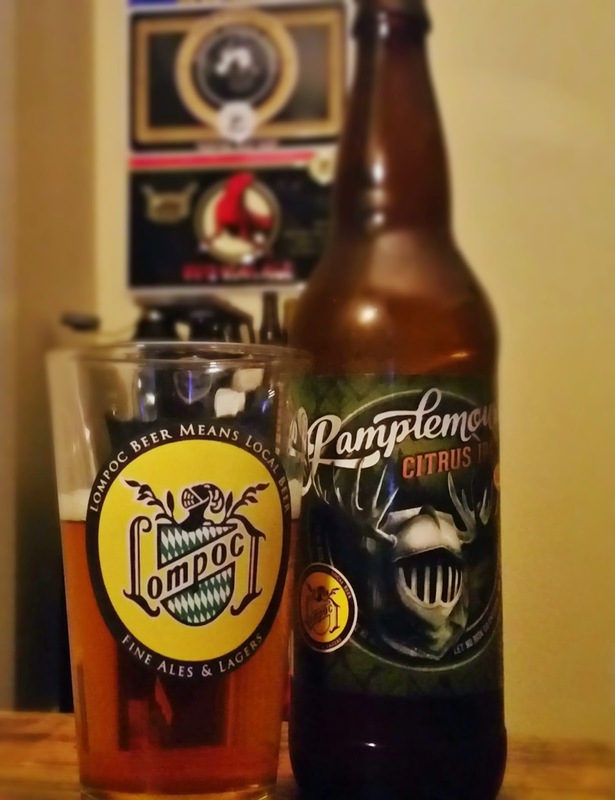 One of my current favorites and a great local representation of this is Lompoc Pamplemousse Citrus IPA. In addition to four hop varieties - Centennial, Chinook, Meridian and Tettnang, they also use actual grapefruit juice to create the combination of citrus pop and delicious bitterness that makes my taste buds sing. 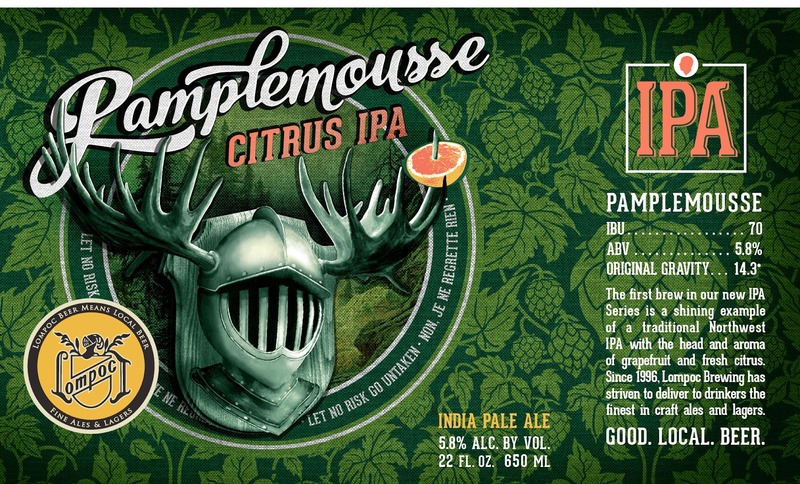 In case you were wondering about the name, "pamplemousse" isn't just some long, slightly odd word that Lompoc created but is actually the French word for grapefruit. Fitting, right? From there Lompoc has had some fun with things, creating a mascot, Sir Pamplemousse, which you may have seen at local Lompoc events. He's the leader of the Kingdom of Lompoc and according to "legend" a scurvy old French sea captain was the first to discover grapefruit on the island of Barbados, to which Lompoc celebrates with this beer. Clocking in at an almost-sessionable 5.8% ABV there's plenty of flavor bang packed into a beer that you can enjoy more than just one of. Perhaps tonight would be a good night to do just that. I mean look at the colors on the label, looks like a "Go, Ducks!" kind of beer to me. I'm a beer geek (some may say "snob") and I'm ok with that label. That being said over the past year I've come to have a greater appreciation for "lesser" beers in certain circumstances. I'm talking about beers like Rainier and Old German which are what they are yet I'd still order them over the BMC equivalents I drank in high school in the right situation. 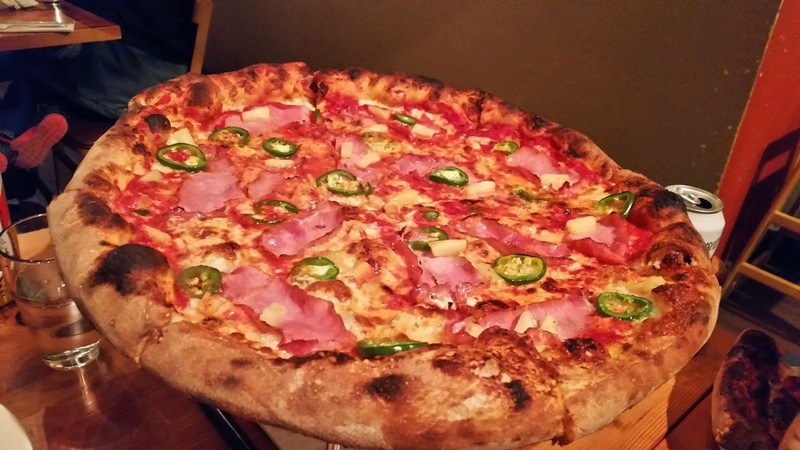 Last week we paid a visit to Apizza Scholls, something that was long overdue. After sharing a pitcher of Firestone Walker's Pale 31 at the bar I was looking for something different when we were finally seated at a table. They don't have an extensive beer menu (which is fine, they're a pizza joint, not a craft beer bar) and nothing was really catching my eye. 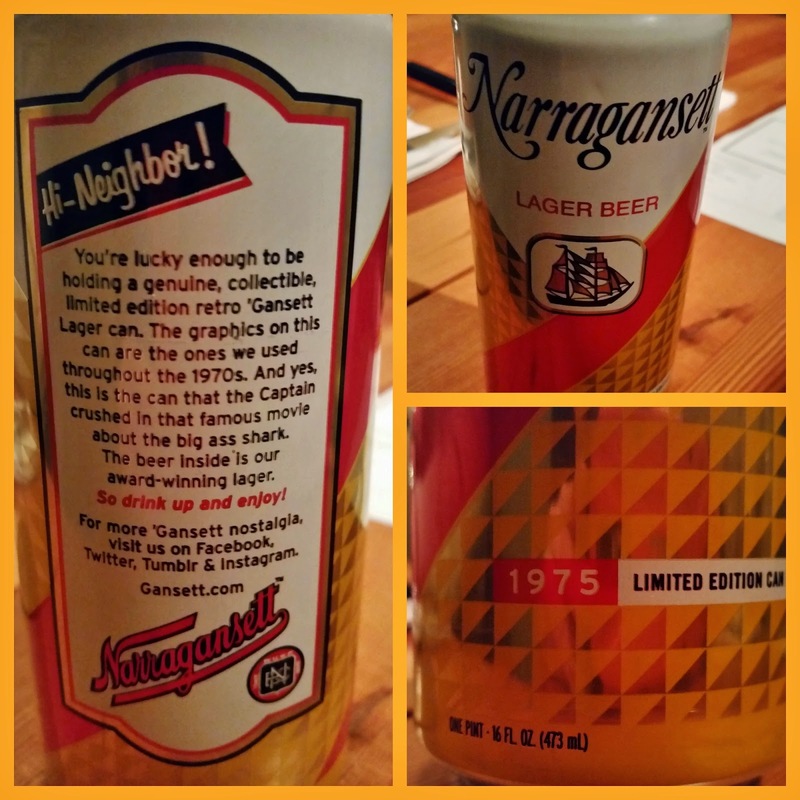 Then I noticed something under the can/bottle section that I hadn't heard of - Narragansett Lager. Of course the first thing I did was consult Untappd and unsurprisingly the 5% North American Adjunct Lager had a 2.94 average out of 35,421 check-ins. I scrolled through check-ins looking for comments and upon coming upon Rich's, "Perfect pizza beer," I knew I had to give it a go. Ordering it, our server immediately commented that this is the "Jaws" beer. Although I've seen Jaws, it wasn't until a buddy I was there with sent me the clip from the movie the next day that the scene was solidified in my mind. But back to the beer. As the Untappd description noted, this is an adjunct lager and there's no getting around the corn flavor. So while this isn't one I'll be enjoying can after can on its own, I have to agree with Rich that it is indeed a good beer with pizza. Maybe I'll have to see about getting my hands on a few more cans the next time I'm in a Jaws mood and settle in with a pie. We rang in the New Year quietly, as is our usual fashion, never having been into dressing up and whooping it up with the amateur hour crowd. Heck we didn't even see the clock roll over to 12:01 am. Instead my first waking hours of the New Year were refreshed ones, followed by a day of watching bowl games, enjoying beer and hanging out at our usual. 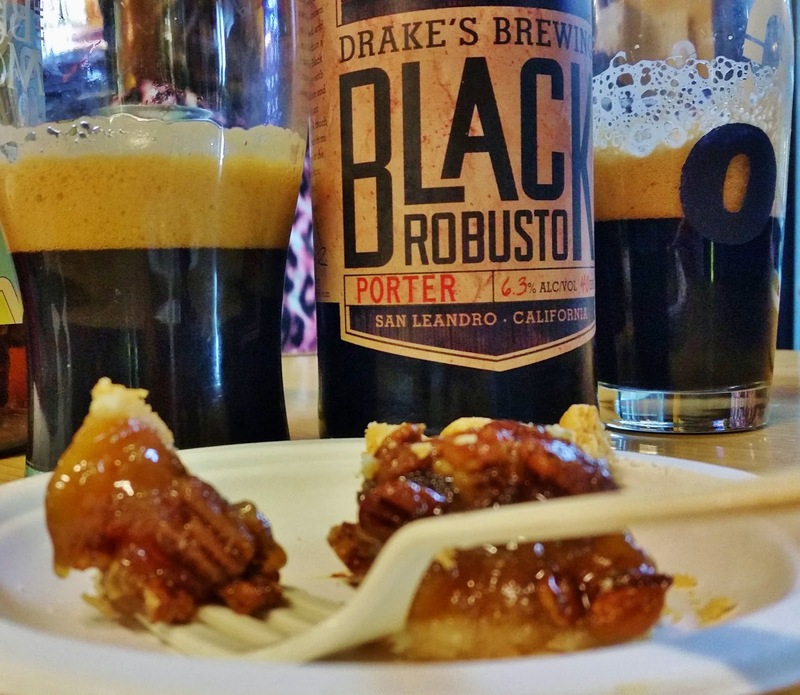 One of the highlights of the game viewing/potluck at The BeerMongers was my third beer of 2015 - Drake's Brewing Black Robusto Porter. It wasn't a new-to-me beer, having first tried it a couple weeks earlier, but it was one of the best porters I've had. Pulling up my previous Untappd check in I had commented, "Oh yeah, almost cold coffee/hot choc." I was as pleased with it the second time around and possibly more so in that I had it in my glass when the pecan pie got cut into. Pecan pie is my favorite pie by far yet being held in such high regard I didn't give much thought to how it would taste with this porter until I slowed the shoveling of forkfuls to sip my beer. Wow. Really wow. So if you're a pecan pie fan like me I highly encourage you to have a bottle of this on hand the next time you're enjoying it. And if you decide I'm wrong, holler and I'll be over to finish both your beer and pie off.